Job descriptions aren’t really something that keeps district leaders up at night. It isn’t likely to find a lot of administrators posting articles or catchy one liners about school district job descriptions on Twitter. The human resource facet of school district operations doesn’t command as much attention as instruction or curriculum. However, if we “unwrap” what allows professionals working in school districts to be successful in the same way we “unwrap” standards and analyze curriculum and instruction and what helps students succeed, I think you will find the two are closely related. Government overreach into state and local affairs is a concern expressed by many citizens across the country. School administrators likely feel this more acutely than most organizational leaders in the private sector. Moving beyond controlling large portions of school budgets, today many state legislatures determine the perceived criteria for effective teaching while sitting behind their desks in state offices. State governments across the country have adopted and mandated teacher evaluation systems. Names like Marzano and Danielson have become ubiquitous in teacher performance evaluations. Some states and districts have allowed autonomy and flexibility to guide performance within the frameworks of these tools, while others have used the criteria found in performance evaluations in a more rigid manner without a clear understanding of the multiple factors that affect student performance. So what does this have to do with job descriptions? Important performance criteria found on job descriptions should be identified by individual schools, not by state law makers. School districts should use input from staff members within the school district and not solely rely on mandated performance criteria from state offices. When school districts complete a job analysis they allow their staff members to identify important tasks needed to be successful in their job roles as well as the knowledge, skills, and abilities that are needed to complete those tasks. What makes a teacher effective at a suburban, low minority school in an upper middle-income district is quite different than what makes a teacher effective in an urban, high poverty district or a rural district with a high number of ELL students. Your job descriptions should be created with input from staff members in your district. 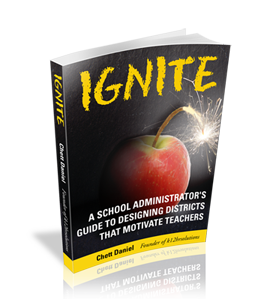 They, more than anyone else, understand what tasks and skills are needed to achieve the district’s mission. Job Descriptions for School Districts Provide Clarity Regarding the Main Purpose of Job. 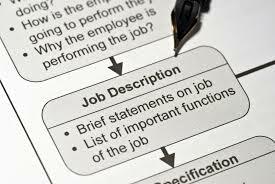 Job descriptions for school districts should begin with a summary statement that briefly describes the purpose of the position. This is an essential element of job descriptions for school districts as it communicates employees’ roles in efforts to achieve the overall mission of the school district. Another important component of summary statements is they can provide clarity during times of budget crisis to identify overlapping organizational roles typically found in larger school districts. Job Descriptions for School Districts Identifies Essential Duties. Job descriptions for school districts must include the most important, or essential duties performed. Do not underestimate the strategic and legal importance of this section of school district job descriptions. School district job descriptions are often used in job postings and essential duties help prospective employees match their skills and abilities to the duties that will be expected of them. Job descriptions should reflect the criteria used in employee selection practices as well as performance management tools such as evaluations. Other equally important aspects of detailing essential job duties in job descriptions for school districts are the legal implications. Under the Americans with Disabilities Act (ADA) current and potential employees cannot be denied employment based on a disability if an employee is able to perform essential duties with or without a reasonable accommodation. It is the employer’s responsibility to identify which duties are essential. Essential functions for staff members are determined through a job analysis for school districts, not through “canned” job descriptions that are sold as an add-on to some other service package. Canned job descriptions do not allow for input from employees who actually perform the various jobs in the district and can cause much larger issues in an EEOC complaint under the ADA. The information from a job analysis should be utilized to develop a job description. Feedback from employees and supervisors identify duties they feel are essential. Essential functions tell employees the fundamental job duties that must be performed either on their own or with the help of a reasonable accommodation. Employers cannot refuse to hire job candidate because a disability prevents them from performing duties that are not essential to the job. Valid job descriptions allow district leaders to clearly identify essential duties for a position. Another legal implication of duties described on job descriptions is an employee’s FLSA exemption status. Recent changes to FLSA could have a tremendous impact to school district budgets. If a school district employee files a grievance with the Department of Labor (DOL) regarding a wage and hour violation, one of the first things the DOL will review is the employee’s job description (and a school district job analysis should have been conducted to provide data for the job description). If an employee is classified as “exempt” by the school district and not paid overtime for any hours worked beyond 40 in a work week, the essential duties identified on school district job descriptions should clearly indicate “exempt” level duties. (Find out more information about school district FLSA exemptions here). Too often, school districts mistakenly believe that salaried employees = exempt employees. This misinterpretation may explain why since 2000, FLSA cases have increased 438%. Other estimates suggest nearly 40% of lawsuits under FLSA regulations are brought by school district employees. (1) Job descriptions should not be canned or “off the shelf.” They should be based on collective input from school district employees. (2) Essential duties are one of the most important elements of job descriptions for school district that impact both strategic and legal aspects of school district operations. The convenience of canned job descriptions must be weighed against the legal and operational benefits of allowing district employees an opportunity to provide local and more defensible job information. These two duty statements seem straightforward, yet could look very different in practice. For example, providing instruction in a technology rich classroom requires completely different knowledge and skills than are required in more traditional classrooms. In the same way, many schools expect teachers to provide feedback to students beyond marking up papers with red pens and printed progress reports. This is also true for school district positions outside the classroom. Staff members who work in various skilled trade positions are expected to perform essential functions like “make repairs” or “perform preventative maintenance,” yet the tools the district uses, or the equipment maintained will require different knowledge and skills depending on the equipment and resources the district has. When important knowledge and skills are identified through a school district job analysis, and are clearly indicated on job descriptions for school districts, district and human resource leaders can look at professional development needs strategically and ensure PD efforts are targeted towards improving knowledge and skills related to essential duties. Who knew something as mundane as job descriptions mattered on so many different levels? When written correctly, job descriptions allow employees to have a voice to help identify important performance criteria. Job descriptions for school districts provide clarity regarding the overall purpose of a job and the essential functions associated with the position. Finally school district job descriptions allow school leaders to better plan professional development since essential competencies were identified by local teachers. Clearly job descriptions matter. If you have further questions about job description, their use, or development, contact us and we would be happy to assist your district to ensure they are valid and provide legally defensible human resource decisions.